Chop, chop, chop! 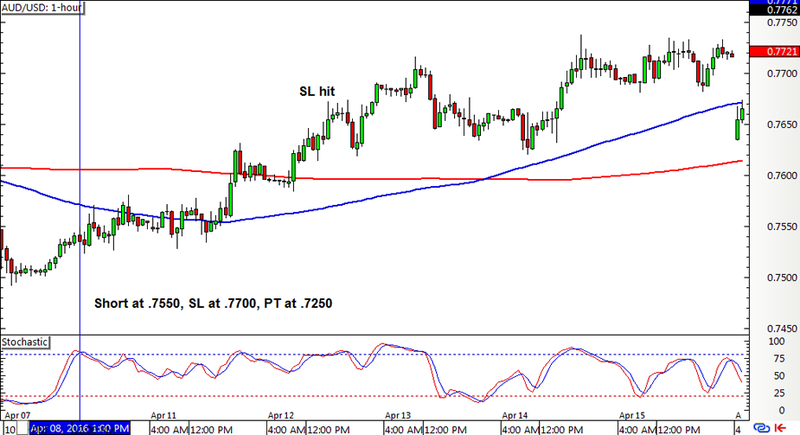 The SMA Crossover Pullback forex mechanical system churned out a few more losing trades last week due to ranging market conditions. If you’re wondering what I’m talking about, make sure you look at the trading rules and risk management adjustments first. Oh, and I’ve got the compiled results for Q1 2016, too! 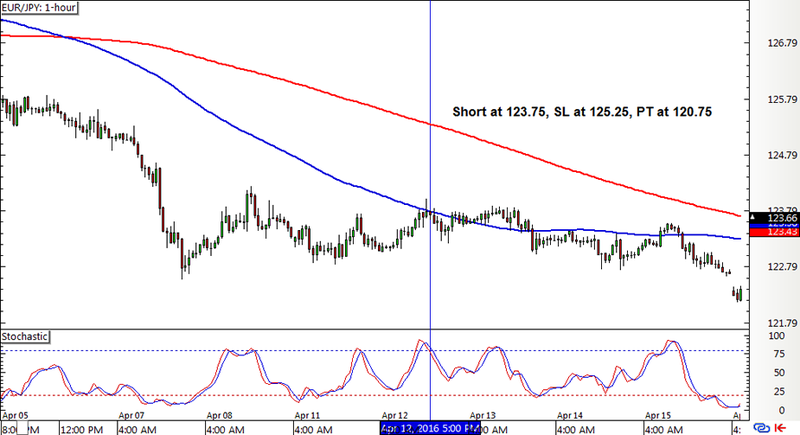 Just after the long position on EUR/JPY got stopped out the other week and a new crossover formed, a stochastic pullback signal soon materialized. The short AUD/USD position from the previous week ended up hitting its full stop loss even before a new crossover took place. So far, no pullback signals have popped up yet. 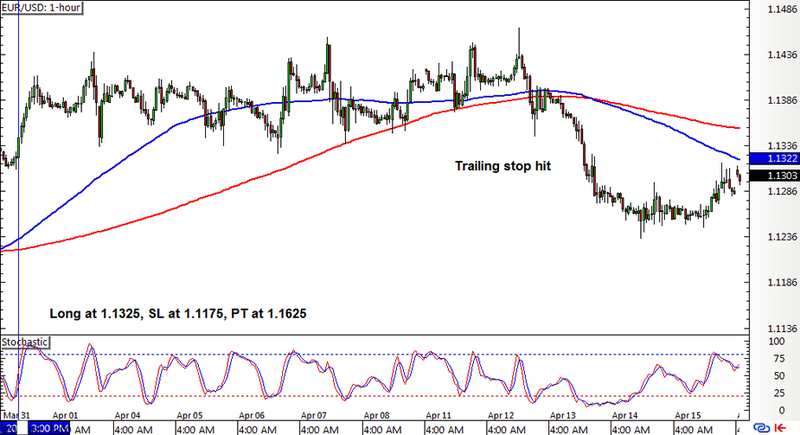 EUR/USD had a long position which eventually hit its trailing stop at breakeven, as price made a downside break from consolidation. 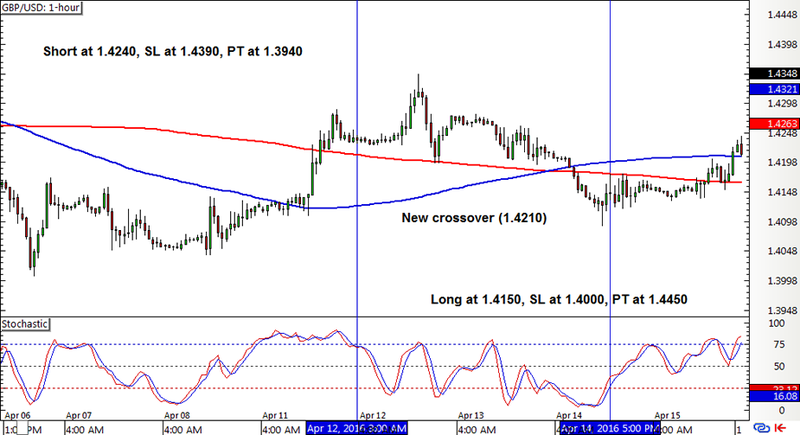 GBP/USD showed a pullback signal for a short position at 1.4240, but this had to be closed early at a new crossover for a small profit. A long signal was soon generated and this one’s still open. With that, the system ended up with a 120-pip loss or a 0.80% dent on the account. Not lookin’ so good especially after that 165-pip loss from the other week! Still, I’m hopeful that this system can catch a big win sooner or later to make up for these losses. Or do you think it’d be better to steer clear of this trend-following strategy for the rest of Q2?